Time flies and so are the trends and partying ways. Barbeque parties are definitely enjoyed but the fun that hurda parties give can’t be compared or compromised. Once the New Year bash is over, the young and old look forward for hurda parties. 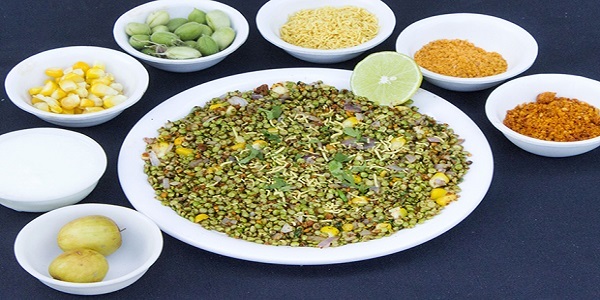 Hurda is considered as the staple grain of rural Maharashtra. December and January are the months to enjoy the traditional hurda party in Maharashtra. Most of the people would carry hurda parties in their own farms but due to the unavailability of good crops, labour and land, hurda parties have declined. . The work is intense for the preparation and needs at least 2-3 persons to prepare and serve the tender Jawar (hurda). This might sound very simple and rustic, but the moment one puts a spoonful of this preparation in mouth, there would be a desire to indulge in some more. It is very rare for urban people to taste the first ripe of grains. People staying in cities are not aware of rural life, their culture and eating habits. They buy and cook whatever they find in the market. The vegetables and fruits that are available in the market are hybrid, thus leading to several diseases. In early January, Several agro tourism groups organize trips to Hurda Parties across the state. Morachi Chincholi is one of the best agro-tourism spot near Pune. Morachi Chincholi is a holiday spot that serves urban tourist with sweet and tasty jawar that awakens their taste buds . Morachi Chincholi also provide a great learning experience to all children, as they can see the diversity of farm, other applied activities on farms and can experience the lifestyle of local villagers. Not just children, but adults too are benefitted from such outings, especially the bird watchers as it is a Natural peacock sanctuary. Here one will find peacocks more than the population of local villagers. Because it is said during the Peshawa’s Dynasti, a lot of tamarind trees were planted which attracted the peafowl’s, as Tamarind trees offer both pleasant temperature and weather conditions. a lot tamarind trees Morachi Chincholi also offers certain rural activities like rural games, rural rides, and lip-smacking rural food etc. These activities are designed to enable people to go back once again to the grassroots level so that one can derive positive energy from the nature and go back home with rejuvenated and invigorated spirit, ready to take up the challenges of daily life once again. Morachi Chincholi is the best weekend destinations and a place to get calm, cool, relax, very close to nature. The whole village is full of agricultural farms with natural scenery. At Morachi Chincholi, one can experience a perfect holiday that one deserve to enjoy with their loved ones in the sheer company of luxury that is untouched by nature! The local villagers of Morachi Chincholi also provide cottages for Night stay, so here one can enjoy their stay in the lap of Mother’s Nature. Previous PostFascinating view of Peacocks at Morachi ChincholiNext PostMorachi Chincholi: Enjoy the freedom of fresh air & find peacocks everywhere! Proudly powered by DreamWorth Solutions Pvt. Ltd.